Patellofemoral pain syndrome (pain behind the patella) is a common cause of anterior knee pain. It mainly affects young women with no structural changes to the articular cartilage. For various mechanical reasons, the patella can painfully shift to the outside with this condition. This is exactly where Patella Pro comes in: it guides the patella during flexion and extension of the leg. 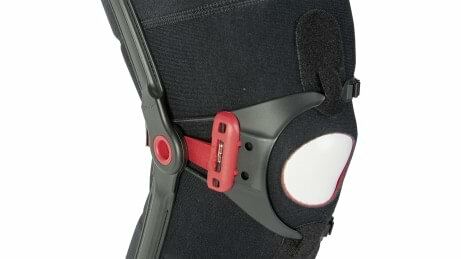 The special mechanism of the orthosis ensures that it only provides as much support as necessary. Thanks to the patella opening, no pressure is exerted on the sensitive patella. 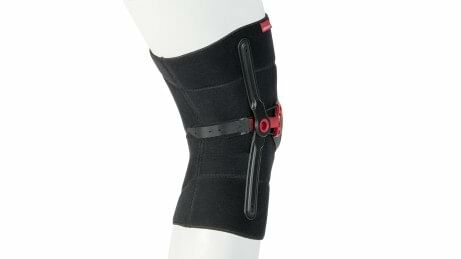 With the handy loops of the donning assist, the orthosis can be pulled over the knee easily. To put the orthosis on and take it off, merely guide the closure into the holes provided and click it in. Three width settings are available and your doctor or technician will choose one for you. 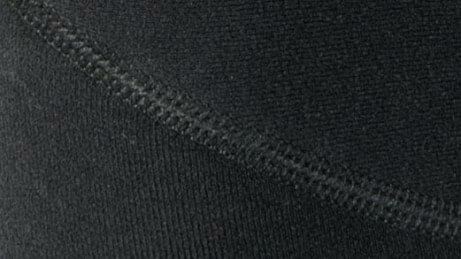 The breathable material is roughened or smooth in various areas on the interior. This means the orthosis does not slip, neither sideways nor up and down. The dynamic re-alignment technology ensures that the patella is guided during flexion and extension, without applying increased pressure during more pronounced knee flexion. The doctor or orthopaedic technician adjusts the orthosis to the user's individual needs with practical hook-and-loop and rachet closures. Taking a walk, climbing stairs, sitting down and standing up again – the Patella Pro can alleviate pain. This allows you to break the vicious circle of pain and avoiding movement. Recreational sports such as hiking or cycling: Thanks to dynamic patella re-alignment, the patella is tracked to the correct extent with every flexion and extension movement, even during sports. If you wear your orthosis every day, you naturally want it to be as inconspicuous as possible. 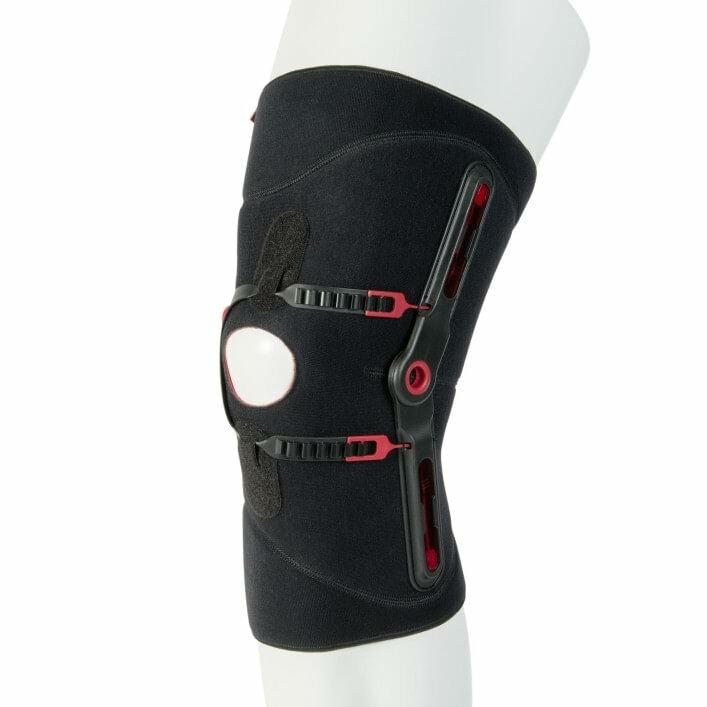 The Patella Pro is very lightweight and can be worn discreetly under clothing thanks to its slim design. 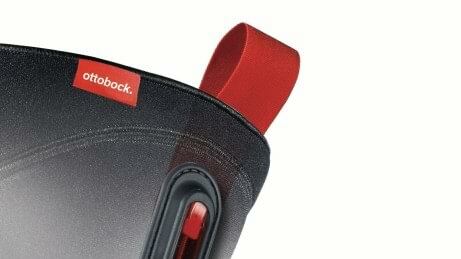 Handy quick-release closures and loops make it easier for you to put your orthosis on and take it off on a daily basis. The breathable materials of the Patella Pro make it pleasant to wear, and they are also designed for a firm fit so that the orthosis does not slip while you move. 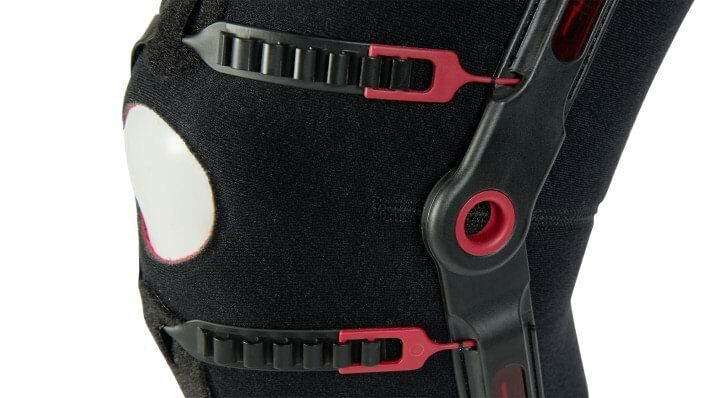 It is important for the orthosis to fit properly, preventing unpleasant or painful pressure points. 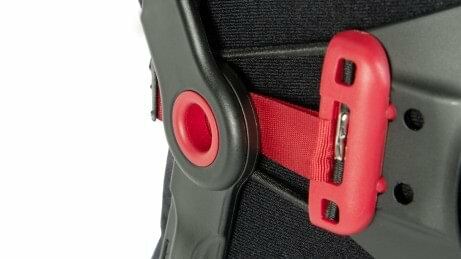 The Patella Pro has hook-and-loop and ratchet closures, which are used by your doctor or technician to adjust the orthosis to your individual requirements. The Patella Pro has already received three awards, most recently the German Design Award in gold. 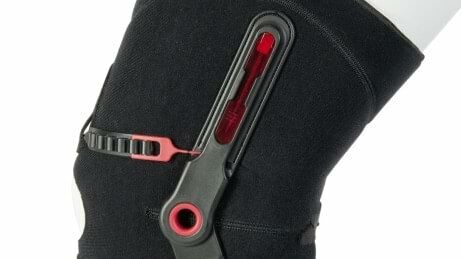 "Thanks to its creative quality, the Patella Pro is almost like a sort of lifestyle product. Its aesthetics and functionality are optimal", said the jury regarding its decision. Patellofemoral pain syndrome (pain behind the patella) is a common cause of anterior knee pain and one of the most common reasons for visiting an orthopaedist. Excessive strain on the patellofemoral joint is often thought to be a trigger. The patella is often displaced with patellofemoral pain syndrome. It moves to far to the outside and pain is felt. When pain lasts for a longer time, a vicious circle quickly develops with pain, compensating posture and avoiding movement. The patella can become severly displaced, especially during slight knee flexion and extension (from 10° to 30°) because tracking is comparatively weak in this range. During more pronounced flexion or extension, it is securely guided by the shape of the thigh. With re-alignment by the Patella Pro, the patella is centred so it tracks precisely. What dynamic means in this case: At the beginning of flexion and extension, when the patella is not yet sufficiently guided, the orthosis tracks it specifically. As the knee joint is flexed further, the patella glides into the track of the femur and Patella Pro does not exert any additional force. The Patella Pro only provides as much support as the patella needs at any given time. There is no over-correction. With its unique functionality, the Patella Pro sets new standards in the treatment of patellofemoral pain syndrome. It is the result of years of research and development by Ottobock in cooperation with medical specialists in a wide variety of fields.